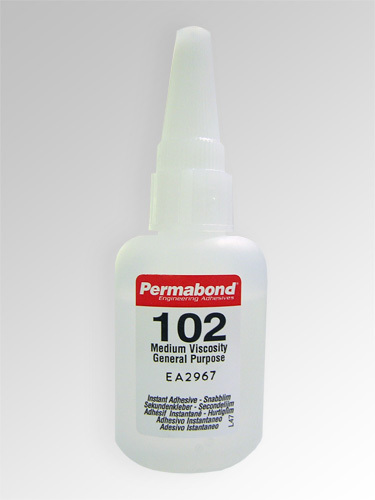 A low viscosity general purpose elastomer bonding product useful in wicking or penetrating applications or bonding closely fitting parts. it is fast setting and suitable for use on plastics, rubber and metals. 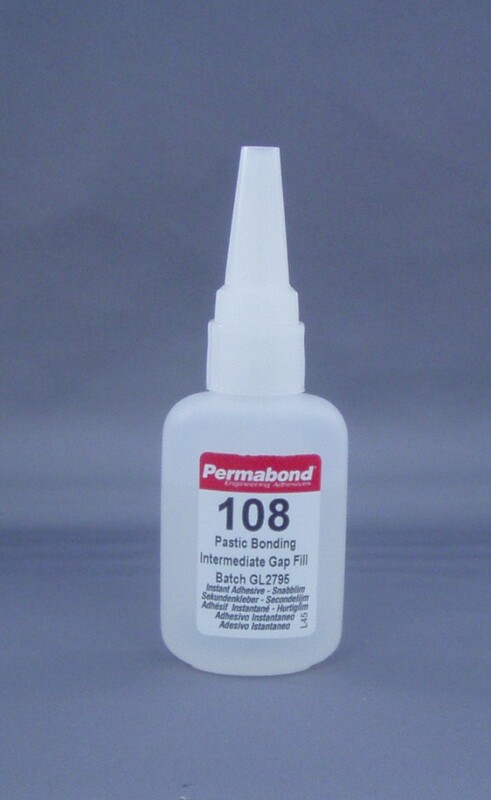 An Intermediate viscosity cyanoacrylate that is used to bond through intermediate gaps. It is fast setting and suitable for use on plastics, rubbers and metals. 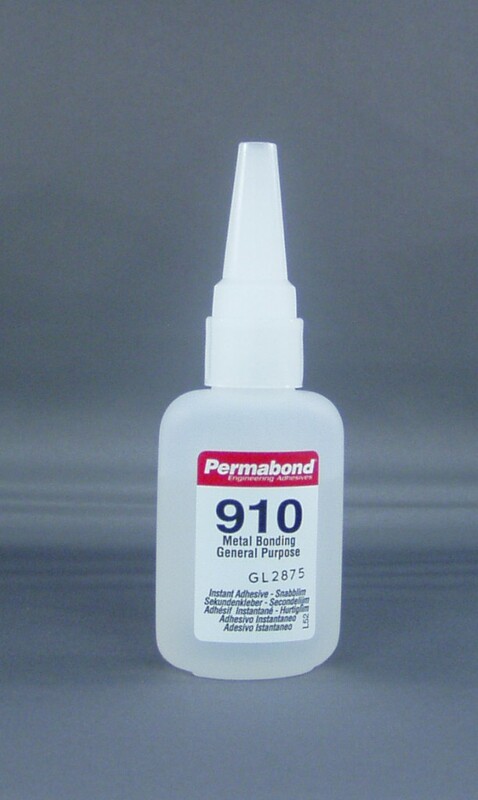 The original 100%-methyl cyanoacrylate adhesive. The adhesive was designed specifically for the bonding of metal surfaces, and provides excellent bond strength to steel, aluminum and most metal surfaces. The methyl cyanoacrylate will also adhere well to a wide variety of other materials including most plastics and rubbers. A two-part fast-setting epoxt adhesive which bonds to a wide variety of substrates such as wood, metal, ceramics and some plastics and composites. 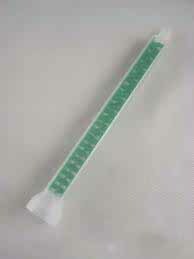 It cures rapidly at room temperature to give handling strength in approximately 5 minutes. 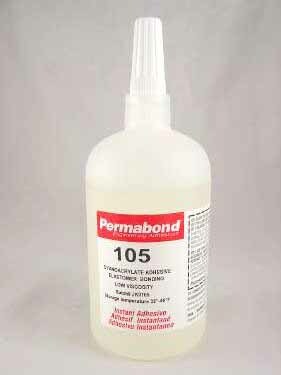 This product is ideal for general purpose bonding. It is typically used for small component assembly and is suitable for applications that require a clear bond line. 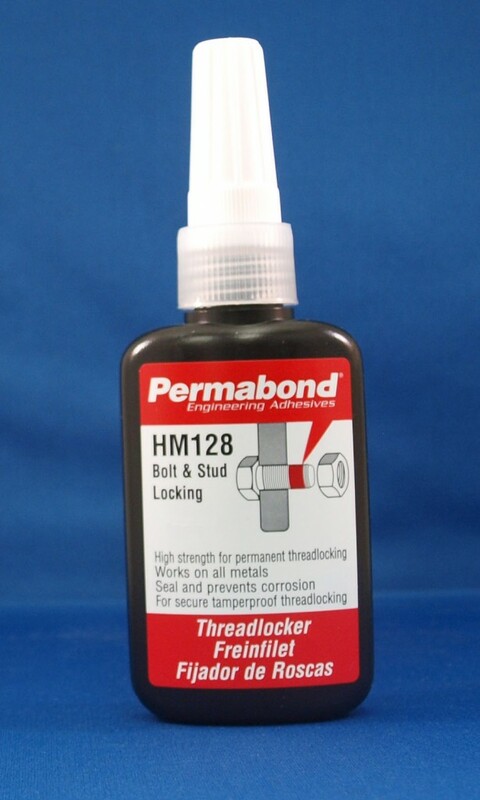 Threadlocker is a high strength adhesive for permanent assembly. This Threadlocker is typically used for preventing vibration loosening of bolts, studs and cap screws. Full cure to a cross-linked plastic is achieved reliably and fast on steel and all common bolt platings. Additional application areas include machinery, equipment, and electric motor manufacturers. 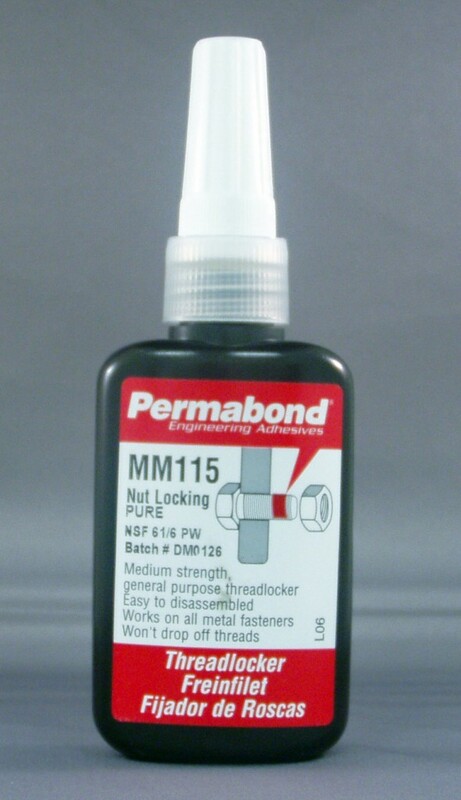 Threadlocker is an excellent general-purpose threadlocker and sealant. It is used for locking bolts, nuts and screws that may require disassembly for service and repair. Its medium strength allows disassembly with ordinary tools. Cure is fast and reliable on steel, cadmium, zinc and other plated fasteners. Major use areas include machinery and equipment manufacturing. 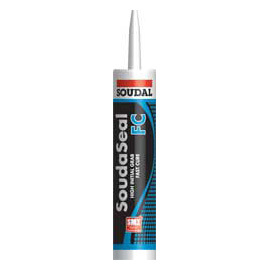 Adhesive/sealant with high initial tack. Can be used for mirror installations, sealing and bonding in building and construction industry, sanitary and kitchen areas, structural bonding applications in the automotive industry. 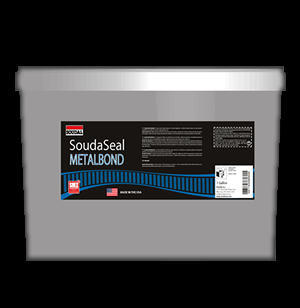 SoudaSeal Metalbond is a solvent free, high quality single component HVAC ducting sealant for all types of metal ducts. This high performance product is engineered for a wide range of sealing and bonding applications.